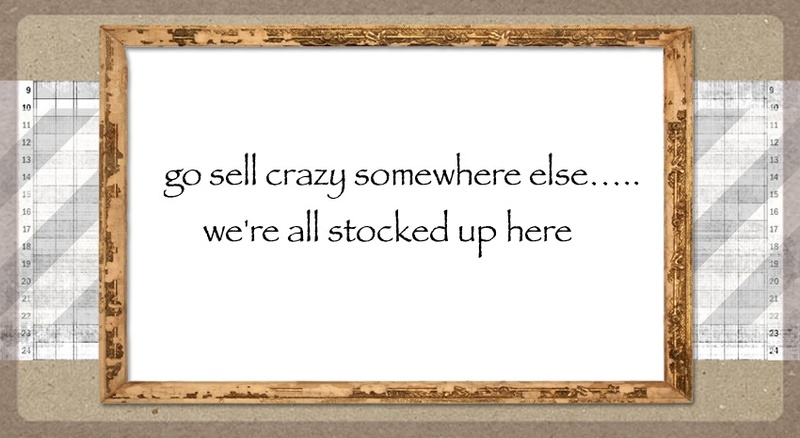 go sell crazy somewhere else: EARTHQUAKE???? Not many occur in here in the heartland. But one did last night. I awoke and thought what??? Man the wind is bad, sounds like something's blowing off the house. The dog growled, and the other shifted positions. I looked at the clock and rolled over listening,(with my deaf ears) to see if anyone was breaking in. I fell back to sleep. 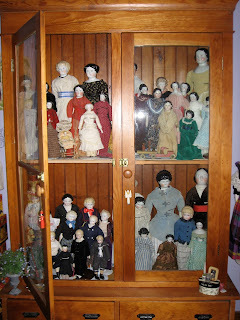 Got up this morning, and came downstairs to find the cabinet that houses my antique dolls open... the latch isn't real tight, so it opened. I assume this was caused by the confirmed earthquake that hit here. A 4.3. However, it could have been something else.... like the 'shiny white lady' my once two year old talked about for years?? The one no one else saw sitting at the desk in the cellar? The one that she was adamant was there, sitting in her long dead great grandmother's desk chair? Oh, that one. So I shut the door to that cellar room for years. Maybe she felt like reclaiming a plaything? That's creapy, 2 year olds don't make that stuff up.